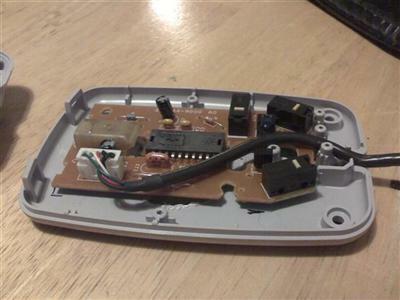 This was a quick, fun project which involves the original Super Nintendo Mouse. 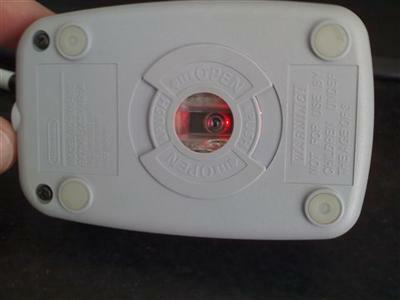 Buying the mouse off eBay was a bit tricky, most of the auctions come with the game "Mario Paint", and there are almost no auctions with the mouse exclusively. I was able to find an auction that has the mouse and the receiver for the Super Scope 6, all for under $10. 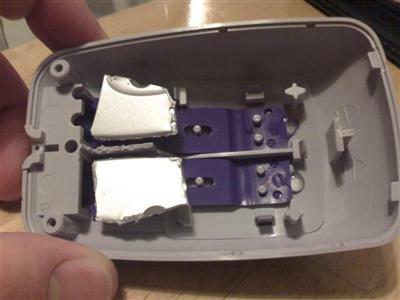 Once I received the mouse, I took it apart, ripped it's guts out and then tried to put the guts of other optical mice inside of it. 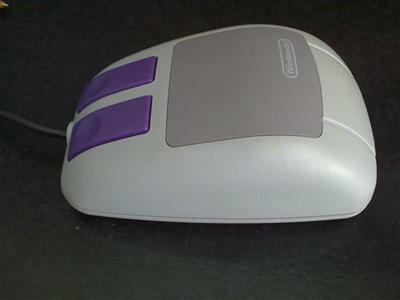 It was a bit tricky finding the perfect one to fit in the SNES mouse. 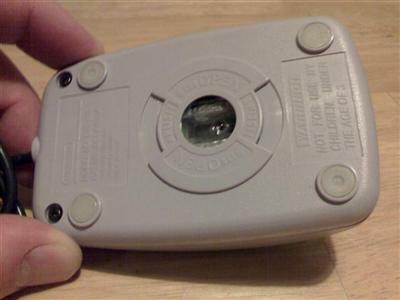 The SNES mouse is actually a bit smaller than most PC mice, probably because of the small hands of kids that it was designed for. 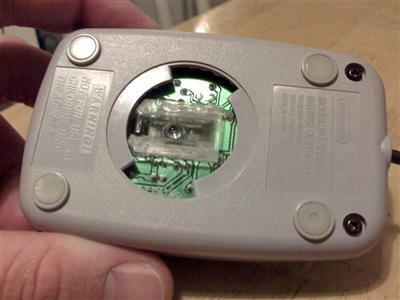 Once I found the right mouse's guts to fit in there, it took a lot of hot glue, trimming of plastic, and a lot of patience to get it just right. First the optical lens on the bottom of the mouse can only work when it's just so far away from the surface so it can read movements. 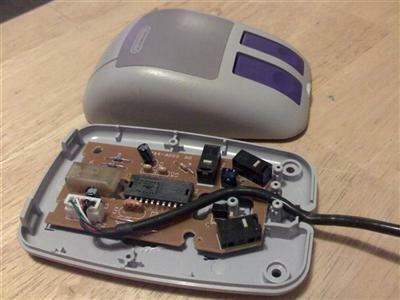 Once that was worked out, I had to find a way to make the SNES mouse's buttons actually click the buttons on the PC mouse's circuit board. That involved making some "pads" that would press the mouse's buttons. Now that it's done, I just plug it into a PC and it's working! Only thing I wish it has was a wheel, I hate using a mouse without a wheel, but I decided not to put one on there because I wanted it to look as close to the original as possible. That part I did succeed in because the only way to tell it's different is to see the optical lens on the bottom of the mouse.